The Redskins offense burst onto the field as quarterback Alex Smith delivered the ball to his playmakers with maximum efficiency. They opened up an insurmountable lead and played clock control offense in the second half and did just enough to win the game. 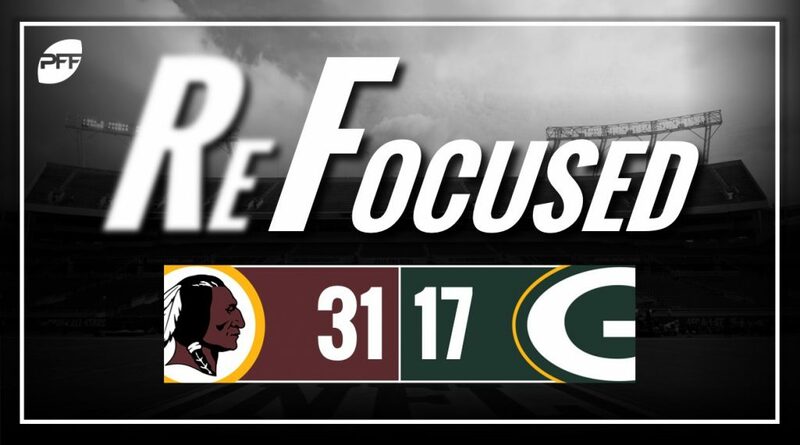 The tight end duo of Jordan Reed and Vernon Davis proved too much for the Packers defense. Neither were great as blockers, but they were highly effective in Jay Gruden’s passing attack, and the pair were able to move the chains with the ball in their hands. Jonathan Allen played most of the game and had a ton of opportunities as a pass-rusher, where he produced a handful of pressures, including two sacks and a hit on Packers quarterback Aaron Rodgers. Safety Monate Nicholson had a tough afternoon as a tackler. Whether it was straight up missing tackles or just taking poor angles, he missed a few on the day that could have led to much bigger plays if not for his teammates cleaning things up for him. Aaron Rodgers missed some throws, but his receivers hindered the offense’s performance even more at times. Randall Cobb dropped two passes that would have converted first downs, and tight end Lance Kendricks also managed to spill a deep pass that would have otherwise resulted in a first down and a huge gain for the offense. If they had converted some or all of those opportunities, it could have been a completely different game. An injury to right tackle Bryan Bulaga forced Jason Spriggs into the game, and his performance will leave Green Bay hoping that Bulaga is not out long term. Spriggs struggled in pass protection, and he allowed multiple disruptions, was called for holding at least once, and also had a false start penalty. The Packers defense lost this game for the team in the first half by allowing big plays down the field. Kentrell Brice lost the ball in the air on the Redskins first touchdown, and Joshua Jackson was beaten deep on a pass to tight end Vernon Davis. They cleaned up their miscues in the second half and played well after intermission, but it was too little too late. The Packers will come away from this game feeling positive about play of their defensive line. While Muhammad Wilkerson went down to what looks like a serious injury, Kenny Clark, Dean Lowry, and Mike Daniels all gave the Redskins offensive line fits, both against the run and the pass. Green Bay: The offensive performance was marred by missed opportunities, including multiple dropped passes on third and fourth downs. Washington: Alex Smith and company roared to an 18 point lead in the first half, which allowed them to play conservatively in the second half to win the game.